Good morning! 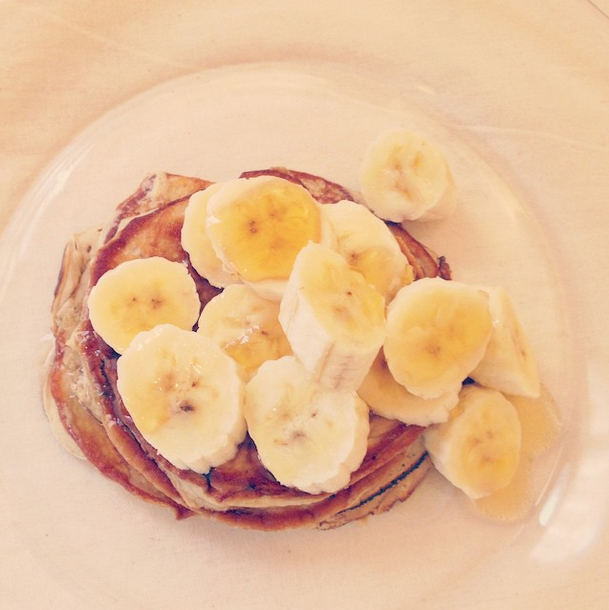 What better way is there to start off the day than with yummy banana pancakes that are also a healthier alternative to the traditional pancake! It is so simple and only requires two ingredients: bananas & eggs. 1) Blend all of the ingredients in a blender to make the batter. 2) Coat a pan with a thin spray of coconut oil (or butter) on low/medium heat. 3) Pour in some batter and wait 20-30 seconds before flipping the pancake. 4) Top with fresh fruit, syrup, other garnishes (all optional) and serve!